Featuring free Wi-Fi, the Downtown Apartment is located in central Warsaw, only 700 metres from Warsaw Central Railway Station. 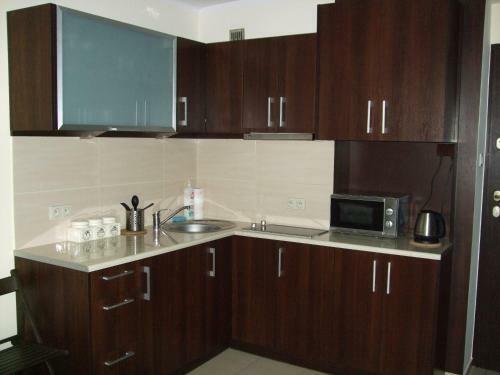 It offers bright interiors, an LCD TV with cable channels and a fully equipped kitchen. The Downtown apartment is classically furnished and decorated with warm colours. It comes with a seating area with a sofa, and a spacious bathroom with a shower. 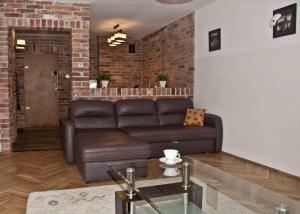 Downtown Apartment is conveniently situated only 600 metres from the nearest metro station, Świętokrzyska. 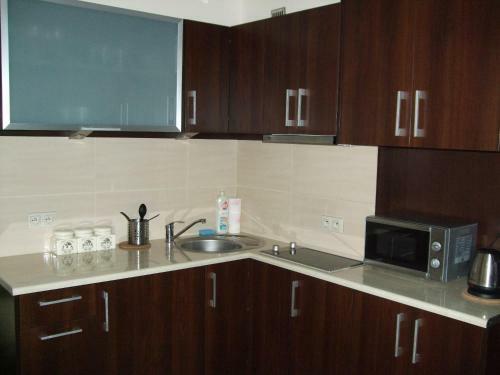 Holiday apartment 286748 The apartment is located on the corner of E.Plater and Swietokrzyska streets, 400 meters from the Palace of Culture and Science and Central Railway Station. Holiday apartment 286765 Apartment located in the city center, next to Swietokrzyska Metro Station, close to the Palace of Culture and Science, Zlote Tarasy shopping center, with easy access to the airport. Cosy, one room apartment for max. 4 people. Downtown Apartment price per day from 134 Featuring free Wi-Fi, the Downtown Apartment is located in central Warsaw, only 700 metres from Warsaw Central Railway Station. 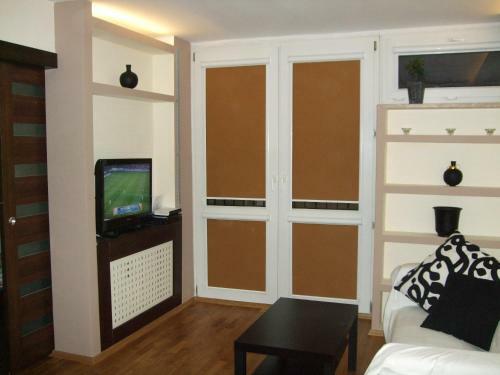 It offers bright interiors, an LCD TV with cable channels and a fully equipped kitchen. The Downtown apartment is classically furnished and decorated with warm colours. It comes with a seating area with a sofa, and a spacious bathroom with a shower. 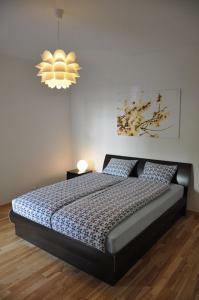 Downtown Apartment is conveniently situated only 600 metres from the nearest metro station, Świętokrzyska. Mieszkanie Na Zawołanie ONZ price per day from 181 Situated in the city centre and surrounded by historical buildings, Mieszkanie na Zawołanie Bagno, offers self-catering accommodation with free Wi-Fi. Warsaw’s landmark, the impressive Palace of Culture, is 500 metres away. The apartment Bagno is decorated in warm colours and features light wooden furnishings. The kitchenette comes equipped with an electric kettle, a refrigerator and a dining area where guests can enjoy their meals. Restaurant Platter , Warsaw Guest reviews: 9/10 ~ 0,3 km from Downtown Apartment Address: Ul. Emilii Plater 49, 00-125, Warsaw. Cuisine: Polish. Restaurant Wedel Pijalnia Czekolady, Warsaw Guest reviews: 9,4/10 ~ 0,5 km from Downtown Apartment Address: ul. 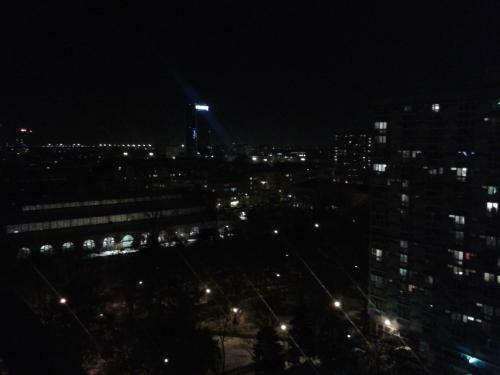 Zlota 59, 00-120, Warsaw. 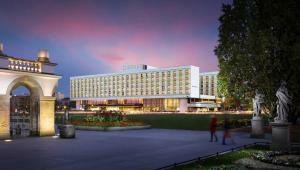 Restaurant Folk Gospoda, Warsaw Guest reviews: 8,4/10 ~ 0,7 km from Downtown Apartment Address: ul. Walicow 13, Warsaw. Cuisine: Eastern European. 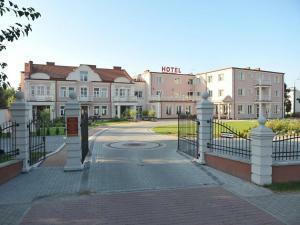 Restaurant E. Wedel, Warsaw Guest reviews: 8,8/10 ~ 0,8 km from Downtown Apartment Address: ul. Szpitalna 8, 00-031, Warsaw. Cuisine: Dessert. Restaurant Radio Cafe, Warsaw Guest reviews: 8,6/10 ~ 0,9 km from Downtown Apartment Address: ul. Nowogrodzka 56, 00-695, Warsaw. Cuisine: Polish.